Schedule a 45-minute demo to see how Rippling can give you back your time. "Rippling is a one-stop shop for hiring and onboarding an employee. If you don't want to spend any time on HR and IT stuff, Rippling is for you." "Rippling makes payroll and HR a breeze. New hire onboarding is so easy compared to older systems, like Paychex, that I thought I forgot to do something at first!" 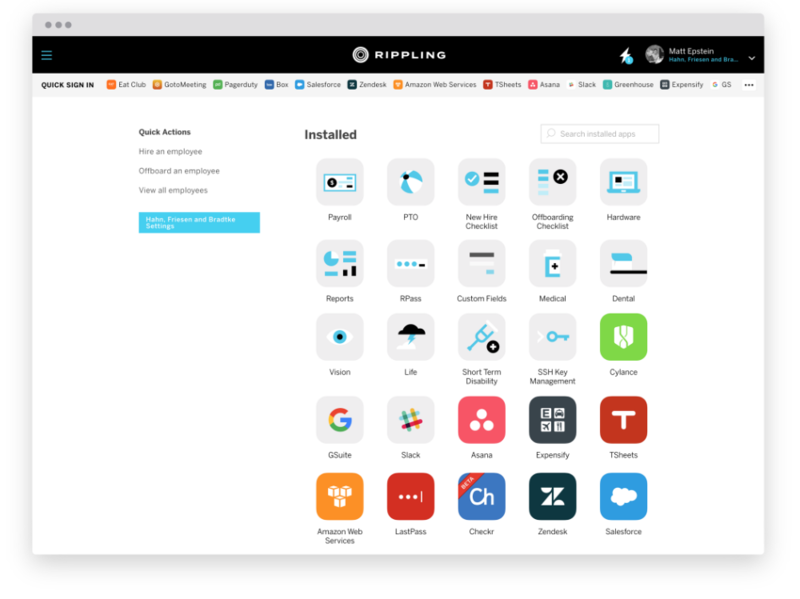 "Rippling is the first employee management system I've used that truly has everything in one place, from HR to IT. Getting a new hire up and running is insanely simple now." "It makes onboarding new employees so easy." "You make payroll easy to do." "This website is silky smooth. Intuitive, easy, doesn't clutter me with nonsense. Love it." "This is far simpler than other payroll systems I've used." "I love Rippling, it has changed my life and from day one I have been recommending it to my fellow entrepreneurs in my network." "You guys are killing it. You have the best UX I’ve experienced in your vertical."